​Since 1999 Podium Marketing has been bringing in the best talent from across the country. These are the people who have have worked to build Podium into an engagement marketing industry leader that top brands seek out to help bring their sponsorship and events to life. Scotty LaLonde founded Podium Marketing in 1999 as an agency to assist in seeking, negotiating and servicing sponsorship agreements in the lifestyle, motorsports and the automotive events industries. For over a decade LaLonde and his team have worked to build Podium into an engagement marketing industry leader that top brands seek out to help bring their sponsorship and events to life. 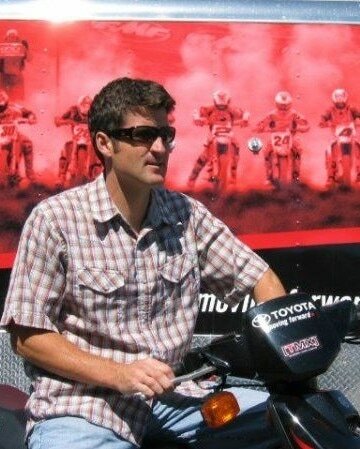 LaLonde’s experience includes marketing and event work with: Toyota, Scion, Lexus, Audi, Red Bull, American Le Mans Series, Yamaha Watercraft, Yamaha Electronics, Anheuser-Busch, Bridgestone, Champ Car, ExxonMobil, Joe Gibbs Racing MX, Feld Entertainment, Alli Sports, AMA Pro Racing, Rally Art, RealTimeRacing, SCCA Pro Racing, SCCA Pro Rally and US Skiing. After graduating from the University of Colorado at Boulder in 2009, Jeff began working with Podium on a part-time basis in January 2011, but joined on full-time in April 2013. Jeff's previous work background includes production and fabrication management, and he currently serves as Podium’s General Manager. Jeff manages Toyota’s activation for Monster Energy Supercross as well as Red Bull Program for Motocross. A true Colorado Native, Heather grew up just outside of the city and attended CU Denver to earn her degree in Business Marketing. After several years with Podium as a Brand Ambassador Heather joined the team full time in 2015. Now, you can find Heather taking the lead for most of the events in Colorado, Wyoming, Vegas, Chicago, and beyond. When forced to take a day off you might see Heather out with her two huskies or enjoying a show at Red Rocks. Josh currently serves as Podium's primary Print Production Manager. With an extensive background in automotive marketing and print production, Josh continues to be an asset within the Podium team. Along with his role of managing Podium's custom print, signage, and design efforts, Josh plays a big part in the success of Podium's activation efforts, assisting with on-site logistics and event management. A South Carolina native, Josh moved to Colorado in 2012 and enjoys all the outdoor activities the state of Colorado has to offer. Carrie joined Podium in 2013 and manages company policies & procedures, payroll and taxes, and is happy to fill in wherever needed. She was born and raised in CT, attended high school in Puerto Rico, and graduated from FIU in Miami. Carrie and her husband had been coming to CO for a number of years to snowboard. They always talked of moving to CO and in 2013 they relocated here from Florida with their 3 kids. She loves the mountains and enjoys hiking, boarding, and spending time with her family. Carrie also loves to cook and trying new recipes. Prior to her office management career, Carrie’s background included hospitality management and sales. Along with his many duties for Podium's Supercross and Motocross programs, Tom manages Podium's transport logistics, including maintenance and DOT/IFTA compliance for Podium's fleet of trucks and trailers. A member of the Podium team since 2010, Tom's background includes small business entreprenuership, where he owned an auto-detailing business in his hometown of Tumwater, WA. Tom is also an avid mountain biker and a former motocross rider, having riden professionally in the Pacific Northwest throughout the 1970's. Alexa was born and raised in Colorado. Alexa started working with Podium in 2016 on a part-time basis as a Brand Ambassador. Upon her graduation from Colorado State University with a degree in Communication Studies in May 2017 she joined the team full time as an Engagement Marketing Specialist. Alexa manages Toyota's engagement marketing programs at the Denver Art Museum, University of Wyoming Football, University of Denver Athletics, Levitt Pavilion as well as Lexus engagements. Alexa likes to spend as much time as possible in the mountains skiing, hiking and fishing. Reigning from the Hoosier state, Liz moved from Indiana to be closer to the great mountains of Colorado. Joining the team in 2017, Liz assists in planning for Toyota’s Monster Energy Supercross and Lucas Oil Pro Motocross. With previous experience as a Brand Ambassador with Podium and also a 30 second board girl for Lucas Oil Pro Motocross Liz is no stranger to the world of Motocross. In her spare time, Liz enjoys mountain biking and searching for the best breweries in Colorado. Born and raised in El Paso, Eric spent the mid 2000s in Austin, Texas acquiring a Bachelor's Degree in Marketing from St. Edwards University while working Red Bull event production on heavy-hitters such as Flugtag, X-fighters, ACL, and Voodoo Music Fest. He returned to his hometown of El Paso for a few years where he started Fallen Tree Silent Productions, a silent disco company, and worked in broadcast media as an account executive and copy writer. After a job in music venue hospitality brought him to Denver, he connected with Podium part time back in the Spring of 2016 and joined the full time team in the Spring of 2018. You can find him at our activations, in the office, skateboarding the local parks, or on a sunny roof top in RiNo. Born and raised in the Steel City, Eric earned a BBA in Marketing from The Ohio University. Later moving to the ATL after college and finally to Boulder, CO for his love of rock climbing. Eric joined the team in late 2018 helping with local event graphics and now helps run the national Supercross, Motocross, and Monster Energy Cup events. Rock climbing, mountain biking, and snowboarding are a few of his favorite things. ​Sarah resides in Chicago and serves as the Engagement Marketing Manager for Chicago and the surrounding areas. Sarah spent years working the auto show circuit as a product specialist and now coordinates, staffs and executes Midwest Podium events. You can find her at over 90 area Baseball games representing Toyota among a multitude of other activations. After graduation from Neanderthal University in the fall of 2008, Yeti joined the Podium team in 2009 as an entry-level warehouse intern. Podium quickly learned that Yeti's passion and talent could not be contained. He quickly worked his way up to the position of Crowd Engagement Manager, and ultimately to Director of Non-Human Resources. Yeti's role at Podium includes fan engagement, grunting, general buffoonery, and eating everything in sight. During his free time, Yeti enjoys snowboarding, hanging with friends, and scrap booking.